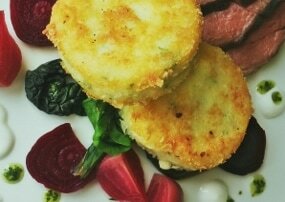 Enjoy Elgin County & Ontario-grown produce . . .
A light honey-Dijon glaze coats tender-crisp Ontario Brussels Sprouts and Carrots. 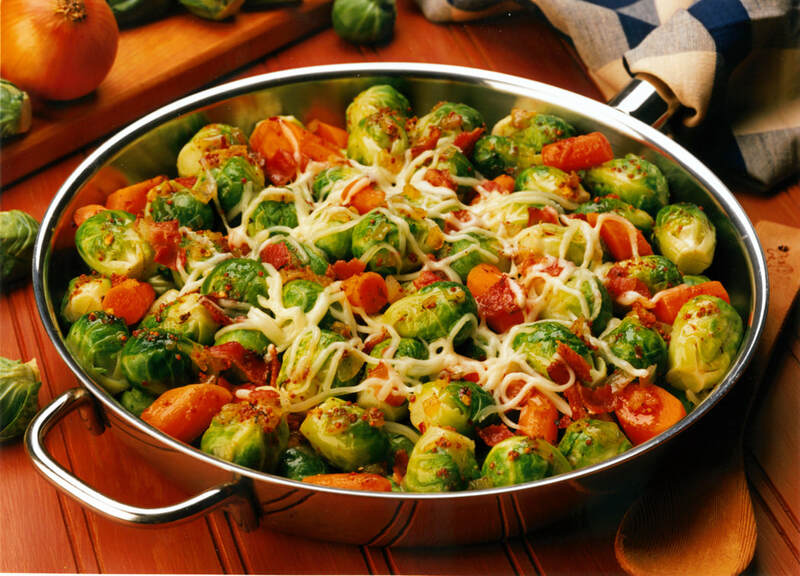 Crisp bacon, tender onion and a thin layer of melted cheese put the finishing touches on this hearty side dish. This fall, families and individuals will trek to Orchard Hill Farm located on Fruit Ridge Line in Central Elgin to collect their vegetable share, chat with the grower and enjoy the view over the ridge. It will mark the beginning of the farm’s seventh generation as Ellen Laing and her husband take on management of the Fall Garden. Ellen chatted recently about her parents’ farm and her return to Elgin County. Ken Laing, Aaron Berg with Frannie, Martha Laing, Della, Ellen Laing (photo by Red Rubber Studio). 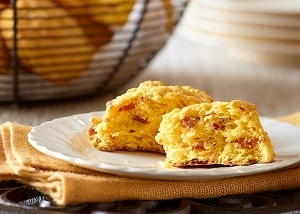 Great with soups or stews, these moist golden biscuits can be made ahead and frozen. It’s hard to beat the classic combination of berries and cream. The chocolate crumb crust complements both blueberry and strawberry variations. 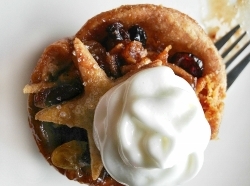 You could also use a graham crumb or baked pastry crust. 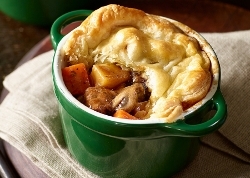 A menu which incorporates a salute to St. Patrick's Day with an Irish classic, a savoury pie and a celebration of spring - Maple Crème Brulee. 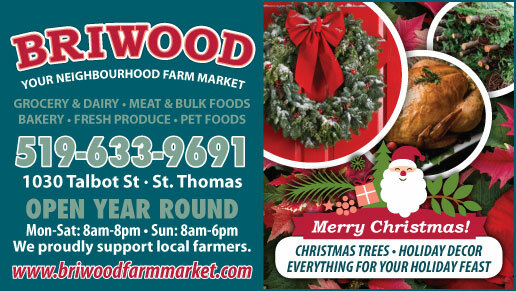 Each year when the holiday season approaches the world is filled with messages of good cheer and hopes of peace. Despite these warm, heartfelt offerings, the sounds of the season expose an inevitable rift that has been dividing us for centuries: those who love mincemeat and those who hate it. Fall may mean back to busy routines – here are three recipes which make use of seasonal bounty and each takes less than fifteen minutes of preparation time. Berry Fool is from the Berry Hill Fruit Farm website – a delicious and simple way to use some of the berries you may have managed to squirrel away in your freezer. Curried Carrot and Potato Soup is quick to prepare with Ontario potatoes, onions, carrots and garlic. 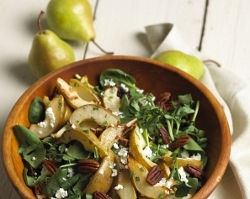 Roasted Pear Salad with Chèvre is perfect for a light luncheon or starter at a dinner party.